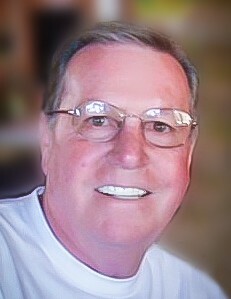 Mr. James Stanley “Stan” Day, 76, of Stanley, NC, formerly of Winston-Salem, passed away on Thursday, November 8, 2018, at the Levine & Dickson Hospice Home surrounded by his loving family after a courageous battle with cancer. He was born on November 5, 1942 in Wilkes County to the late Press and Ada Day. In addition to his parents, he was preceded in death by his loving first wife, Lenora Poplin “Sissy” Day; and two brothers and six sisters. Stan is survived by his second wife, Betty Day; one son Todd Day (Melissa Chadwick); one daughter, Tate Day Folstad (Steve); two grandsons, Taylor Day and J.T. Folstad; two granddaughters, Makenzie Folstad and Madison Folstad; and one sister, Betty Jo Byrd. Stan was a loving father, husband, grandfather, coach and friend. He never met a stranger and always had a smile and encouraging word for everyone. His love for life was contagious. He was a bright light in this world and the best father, husband, grandfather and coach anyone could ask for. Stan loved sports, especially baseball, where his favorite team was the New York Yankees. He worked as the owner and operator of the Cloverdale Shell in Winston Salem, NC from 1968 - 2000 and then Interstate Shell from 2000-2005. Stan was always there to help relatives and friends, coaching baseball, and to offer kind words, support and a smile for all. His positive attitude and love of life was an inspiration to everyone that met him. Go rest high on that mountain sweet Pop, you will be loved and missed beyond measure. Funeral services for Stan will be held at 12:00 noon on Sunday, November 11, 2018, at Hayworth-Miller Silas Creek Chapel with Pastor David Maynard officiating. Interment will follow at Pine Grove United Methodist Church Cemetery, 1130 Jonestown Rd., Winston-Salem, NC 27103. The family will receive friends one hour prior to the service at the funeral home. The family would like to say a special thank you to the care givers at Levine and Dickson Hospice Home in Huntersville, NC and the ICU nurses at CMC Main Hospital in Charlotte, NC for their loving care and support during Stan’s final days. Online condolences may be made at www.hayworth-miller.com.